What is a startup, actually? And in the context of DailySocial, what is a tech startup, anyway? According to Wikipedia, a startup is a “company or temporary organization designed to search for a repeatable and scalable business model”. The article goes on to describe that “Startup companies can come in all forms, but the phrase “startup company” is often associated with high growth, technology oriented companies. Investors are generally most attracted to those new companies distinguished by their risk/reward profile and scalability”. You can read the whole thing on the link provided, but I think I’ve put the key definitions here. And I think most people would add “under 3 years old” to that criteria. Now, with all the attention that tech startups have been receiving the past year, a quick look at the theStartuplokal.org Showcase shows a small smattering of music startups, some defunct, some only having a beta signup page, and some not live at all. Although I agree that it the list is less than comprehensive, it shows that at least music startups have largely gone unnoticed by the recent wave of media attention towards startups in general. If you don’t believe me, try an internet search for music startups in Indonesia, and see where that gets you. Read the rest of the article at Dailysocial. Eki Dance Company dari tanggal 20-24 Maret, 2012 menggelarkan acara Kabaret Oriental: Anak Emas Juragan Batik di Gedung Kesenian Jakarta. Mengutip dari website Indonesia Kaya, mengangkat cerita soal perebutan cinta, harta dan tahta dalam sebuah keluarga pengusaha bisnis batik. Kabaret Oriental ini menggabungkan unsur-unsur drama, tari, musik, lagu dan multimedia kaya dengan unsur budaya oriental, dan khusus untuk pertunjukan ini, para pemain menggunakan Batik Kudus dalam kostum-kostumnya. [Music Monday] What An Exciting Week For Digital Music! Who says the music industry is dead? While Napster might of spelled doom at one point in history, the past 10 years has seen an ever-accelerating comeback in the digital music space. While iTunes might still hold a dominant spot over digital music sales, more innovations and startups are breaking into the scene and making their own noise (nudge at Spotify). I literally couldn’t decide what to write about for this week’s column, so I’ve decided to do a short summary of all the interesting news around digital music. As previously covered on Dailysocial, there’s an indication that iTunes Store might finally be opening up in Indonesia. Although iOS device penetration is lowest here, it also means that there will finally be an easy-to-use music download store in Indonesia. But would it have the relevant music catalog to match? Spotify wants to cannibalize piracy. With 10 million active users and 3 milion paying customers, they might just do that, and catch up with iTunes to boot. But there’s a monster looming around the corner – the artists who aren’t getting paid from streaming services, not to mention big names like Coldplay and Adele withholding their catalog from streaming services, as part of a sales strategy, apparently. But with Spotify already paying out a lot in royalties, time will tell if they have a change of tune. 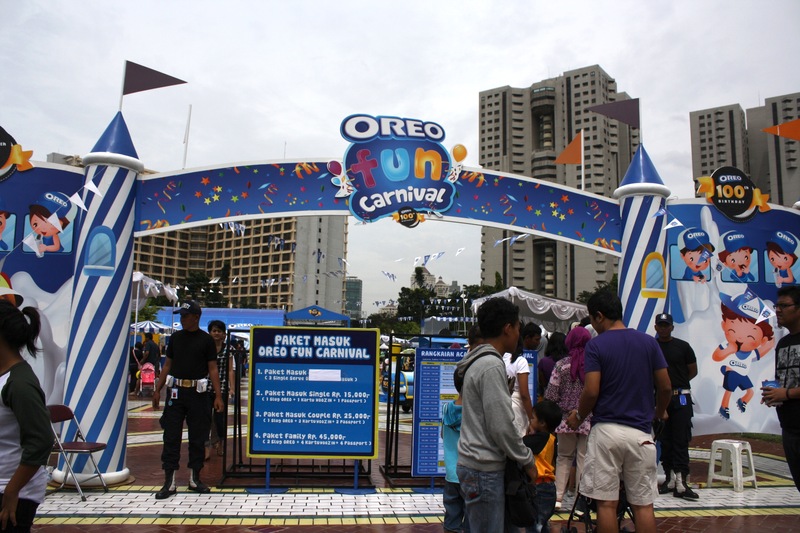 Hari ini, Wooz.in hadir di Oreo Fun Carnival, di Parkir Timur Senayan, Jakarta! Acara ini berlangsung dari hari ini, tanggal 17 Maret 2012 sampai Minggu, 18 Maret 2012, dan menyediakan berbagai permainan menarik untuk anak-anak, sekaligus mengajak anak-anak melihat proses bagaimana biskuit Oreo dibuat, lewat permainan-permainan yang seru. Acara ini merupakan bagian dari perayaan 100 tahun Oreo, dan selain sudah diselenggarakan di Bandung seminggu sebelumnya, juga dilakukan serentak di 24 negara lain. I’ve been back in Jakarta, Indonesia for about 2 weeks now, and have started working for the past week; so I think it’s a good time to officially share here what I’m working on. As my work has a lot to do with social media, I might as well announce it on my personal blog as well. We currently power various events, and we’re hoping to expand our activities into other areas as a technology solution. I’ll also be writing on the Wooz.in blog to talk about, well, work! But I promise, it won’t be just the usual string of ‘my company is currently doing this and that at where’ and I’ll write about the industry in general as well. If you have any questions or inquiries, suggestions, or anything at all, you can contact me directly at ario.tamat[at]wooz.in. Recently, many people have been talking about the so-called “future of music’, on how the music industry and/or the musicians can make money from music. A lot of focus has gone into mobile music offerings, music download services, and the music streaming services much heralded to be the “next big thing”. They’re all basically consumer-facing businesses, where the services – and the music companies partnered with them – attempt to monetize their music library direct to the music-loving consumer. The music licensing aspect, however, is not talked about much, and even less understood.